Presented in collaboration with the PAʻI Foundation. Mesmerizing singer/songwriter Martha Redbone and songwriting partner Aaron Whitby perform from their catalog, which traces Redbone's family story in Appalachia, bridging Native American and African American music traditions. Martha Redbone and Aaron Whitby have been writing songs together for 23 years. The focus of the concert will be on songs and stories from the work-in-process musical, Bone Hill, and will also include songs from across their catalog. The evening culminates a week creative residency at the PAʻI Foundation, in collaboration with theater director Roberta Uno, co-writer of the book. Bone Hill is a recipient of the prestigious National Theater Project award and a National Performance Network Creation Fund grant, which have helped make the residency possible. 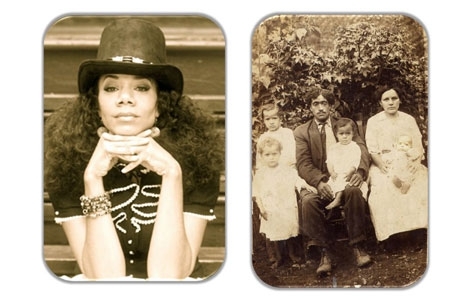 Inspired by Martha Redbone’s Native American and African American family lineage in the Appalachian Mountains, Bone Hill tells of a family permanently bonded to their culture, identity and the mountains, despite the passage of time and ever-changing laws intended to erase Native people from their homelands. The music is radically wide-ranging covering traditional chants and lullabies, parlor music and jazz, bluegrass and country, gospel and R&B, while the story is simply radical. Bone Hill is dark and violent at times, and uncompromising in its desire to be honest about uncomfortable subjects and especially the subject of race in America. Yet at its heart, Bone Hill is a moving family story told with humor and joy and a lot of great songs. Bone Hill was originally commissioned by Joe’s Pub at the Public Theater as part of their New York Voices program, supported by the National Endowment for the Arts; and co-commissioned by the Ashe Cultural Center, Lincoln Center for the Arts, Miami Light Project, PAʻI Foundation, the Yerba Buena Center for the Arts, and the National Performance Network Creation Fund. A grant from the NEFA National Theater Project has helped make this residency possible.